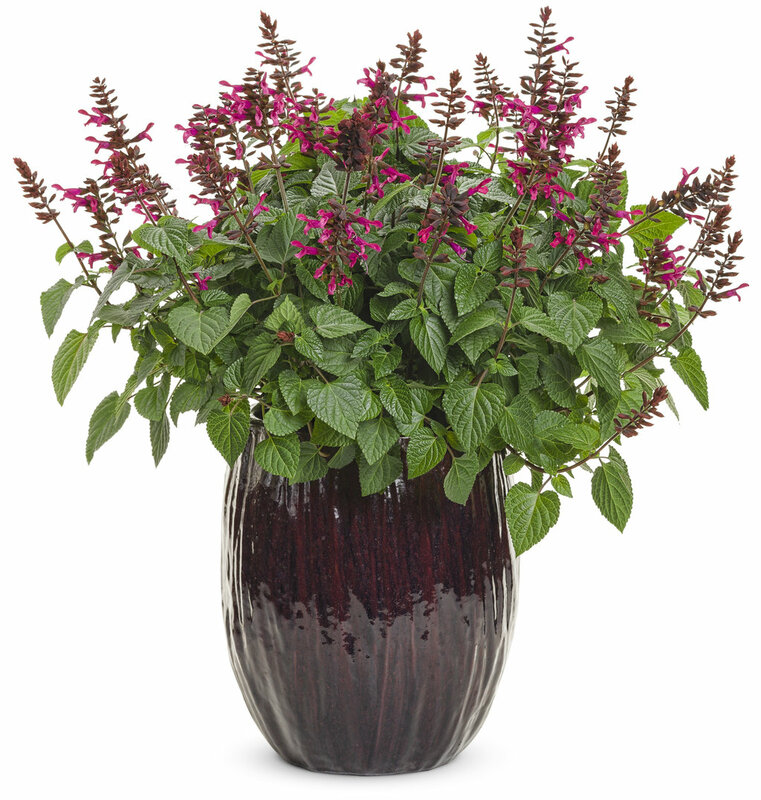 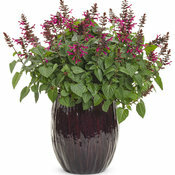 Fuchsia flowers each with a black calyx on tough plants. 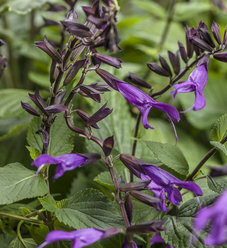 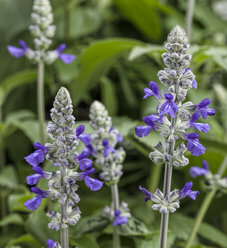 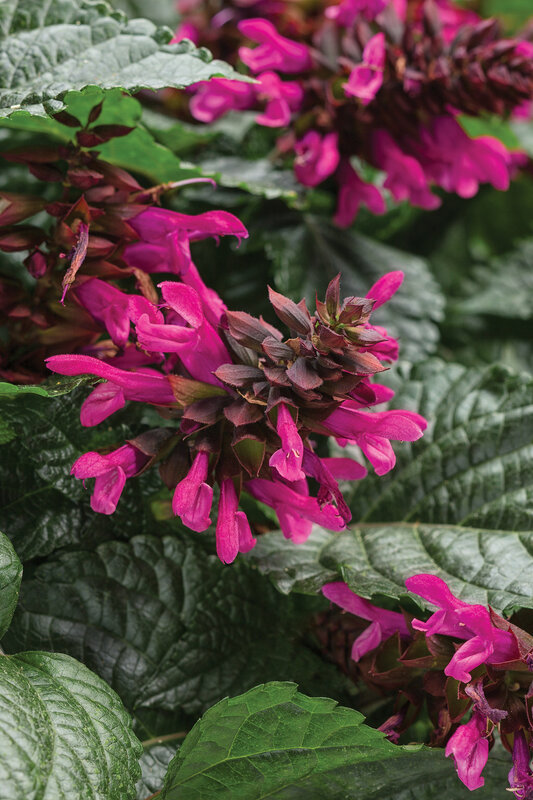 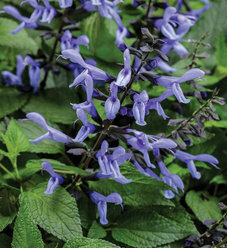 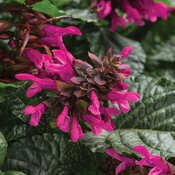 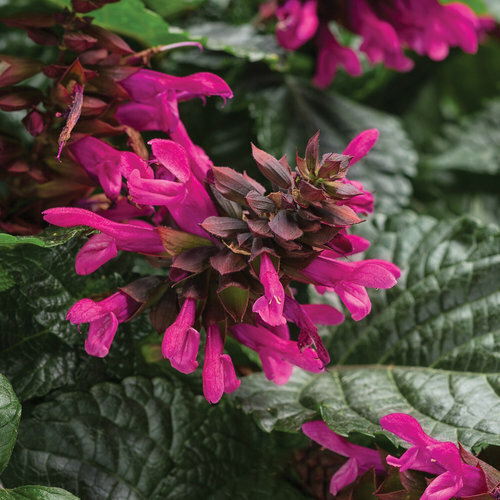 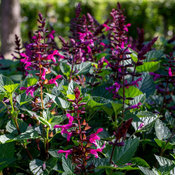 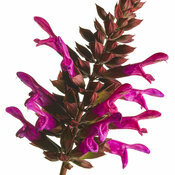 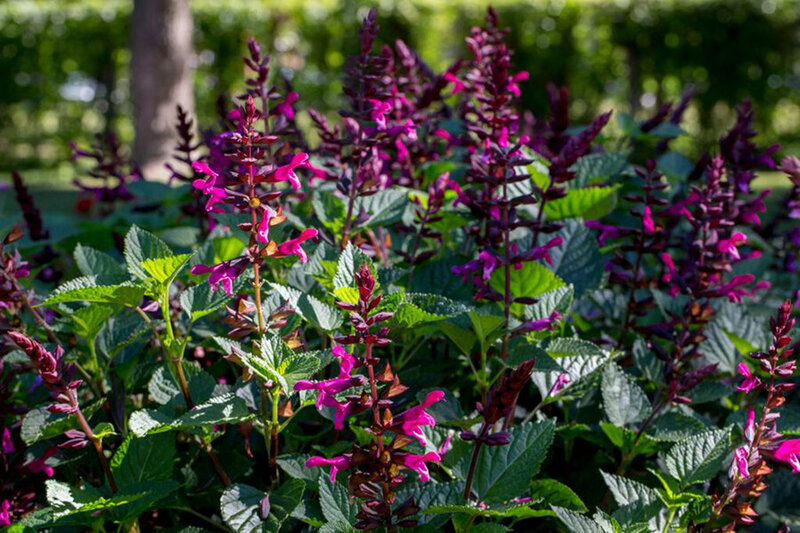 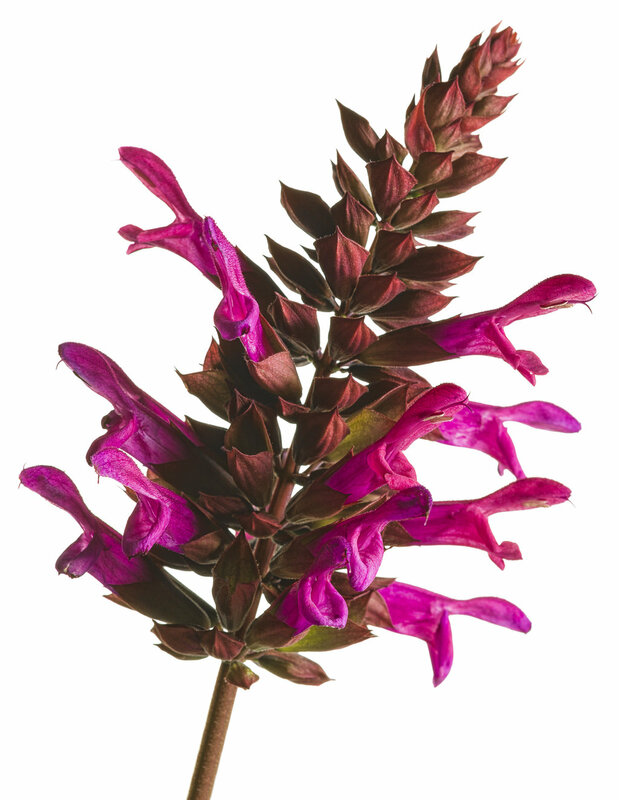 This color is a true breakthrough for this type of Salvia. 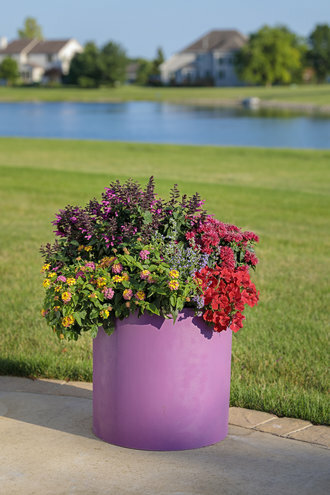 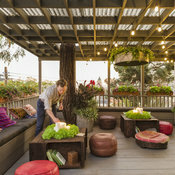 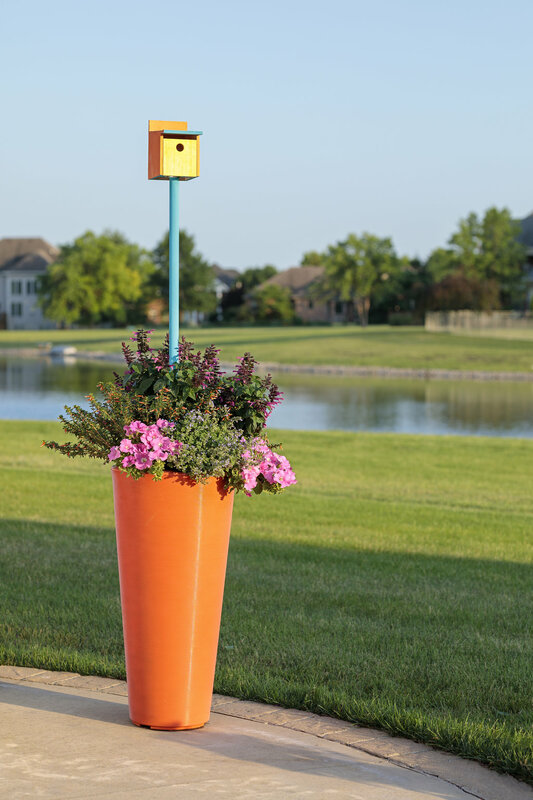 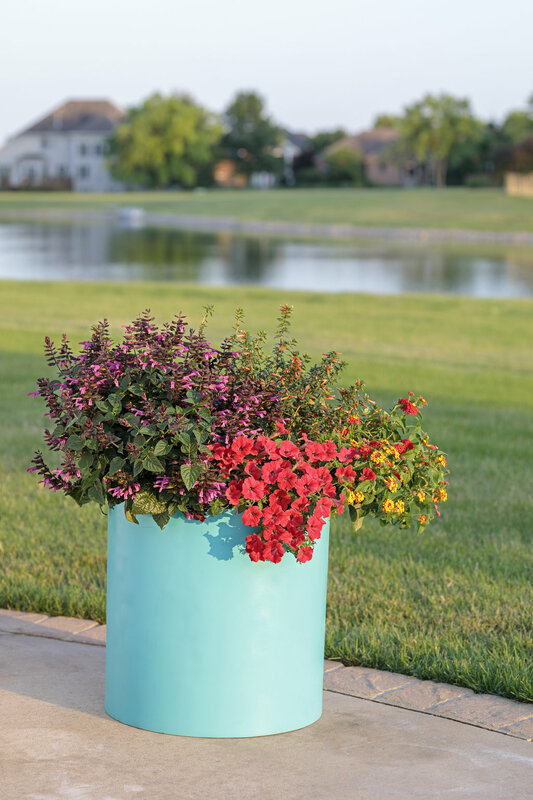 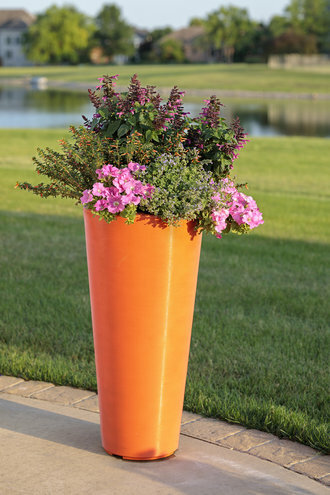 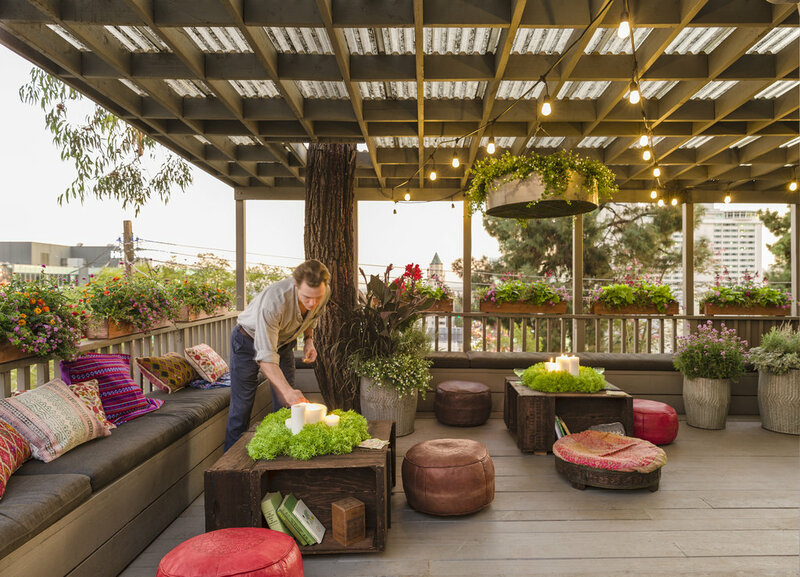 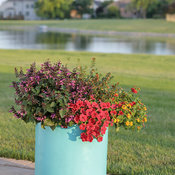 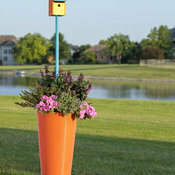 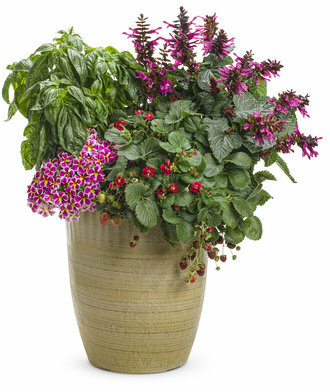 Hummingbirds, butterflies and bees all love it, which makes it great plant for pollinator gardens.